While this is not technically cake, it was sooooo good that I just had to share the recipe. There’s nothing like fresh bread straight out of the oven. 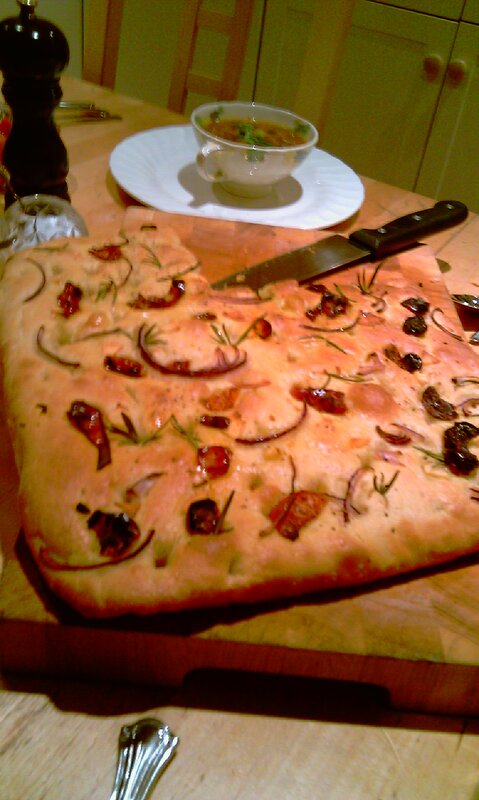 Inspired by the BBC’s Great British Bake Off Masterclass this was the first time I had attempted Focaccia. Turned out well! This is an amazingly wet dough so don’t get scared – here’s a link to a useful demonstration on kneading with oil by Paul Hollywood. However, your dough will be much wetter than the one in the video. 7. Wait. 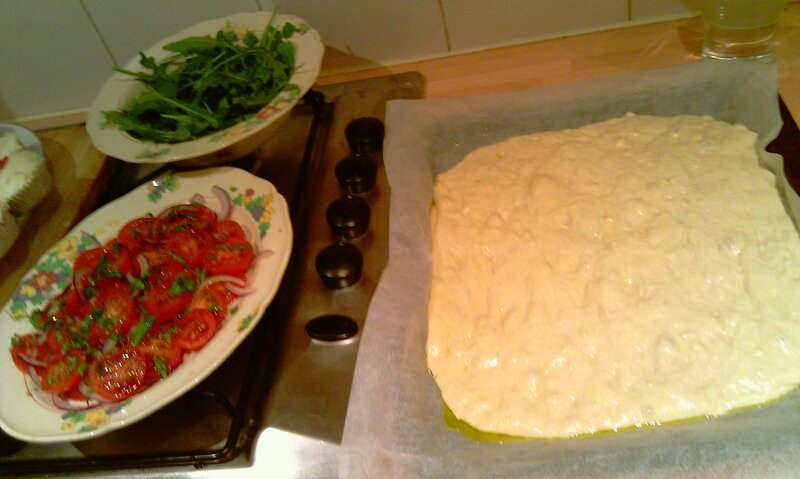 Until the dough proves – which will be about an hour. Here’s a picture. You can see all those lovely air bubbles from the yeast doing its thing, which gives the Focaccia its distinctive texture. 9. Bake for about 35 – 45 mins until done. Drizzle with more olive oil and serve while still warm.